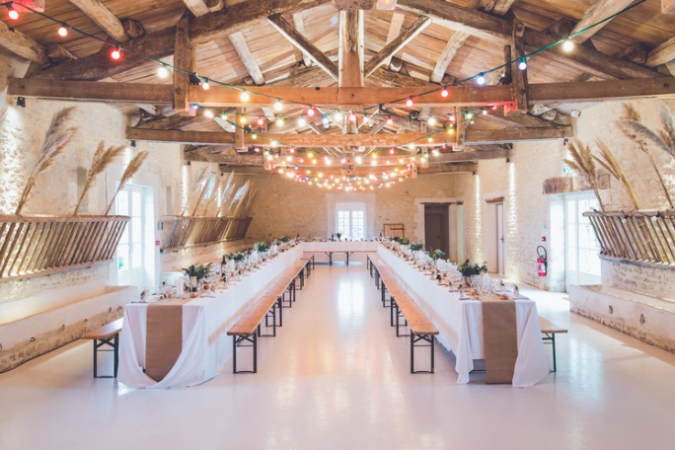 Unless you are someone who selects a ready theme from the diary of an established wedding planner, DIY wedding is an exciting idea to bring to life for your wedding! 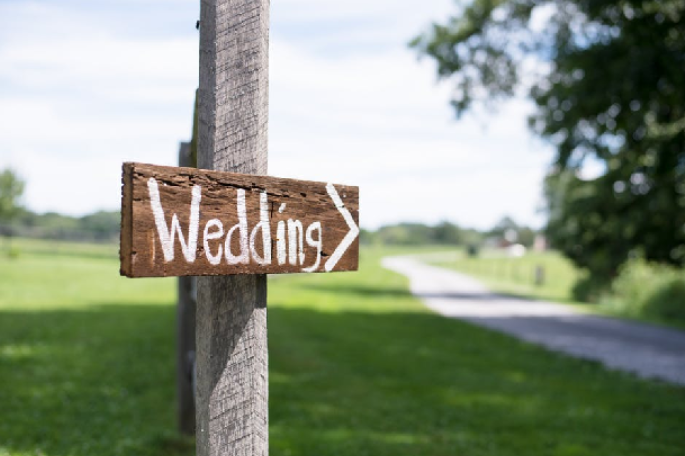 Make it a story to share with the world, or a reflection of style and thoughts you believe in – your wedding ceremony becomes a scene out of your favorite movie if you choose to be it so! Deciding from the colours of the décor to printing the cards by you, Do-It-Yourself can bring about a personal touch. While creativity is at its top notch, the wonders it can do for a wedding prep is unmatchable! Here are 5 ideas to design your Wedding DIY style and keep the budgets low while impacts are high. Why go for the regular wedding invite patterns when you can go creative and design something quirky and interesting! Choose to create your own wedding card. 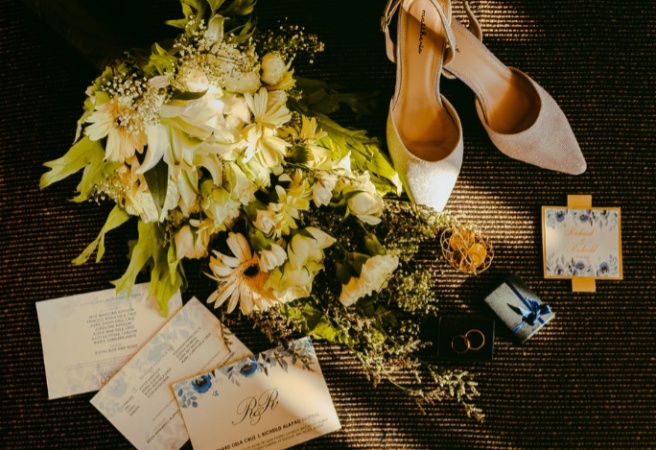 You can add in your pictures, doodle, sketches, dried flowers, paintings, and get inspired by your love story to create the wedding invites. From glass bottles, music cards to even assorted boxes – there are options galore to experiment with! A little touch of fabric can bring definition to your wedding venue. Drapes hanging in from the ceiling or just a nice spread of fabric on the long dinner table can add in a fun vibe while also bringing elegance. Add in a touch of string lights or bulbs to make it all lit. Even if the tables are less decked up the elegance that comes with fabric and lights will keep the reception looking lively. Thinking flowers were just for table décor or mandap décor? Think again! These days fresh flowers along with the paper flowers are used for decorating the chairs, hanging from the ceiling, handing over to the guests and sometimes keeping it at photo booths. Move ahead from the roses, lilies etc and experiment with tulips, lavenders, or even the leaves to set up the designs. There is nothing as beautiful as keeping the venue lit with burning lamps. Choose to put in glass jars lit with flame in place of the electric lamps. Candle lights can add a touch of beauty while being a simple way to set it up. Alternatively, one can use round paper lamps to hang on the venue and give it a dreamy look. 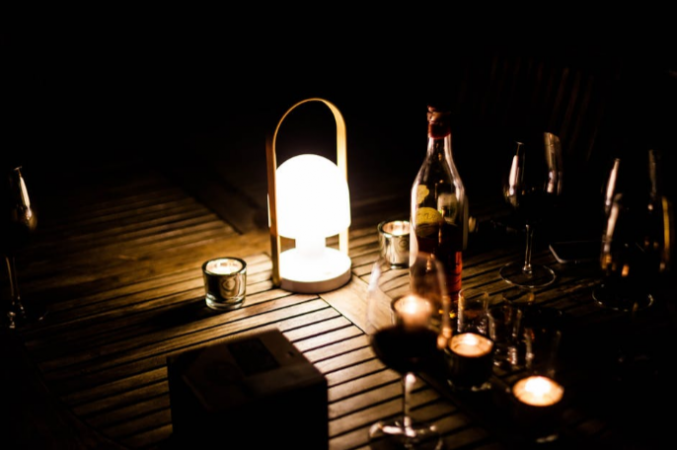 White and off white lamps create the most inspiring setups to go with the wooden furniture. One of the simplest tricks to make your wedding pop is to bring in art! Get inspired by the vintage collections and art to install them at the venue. 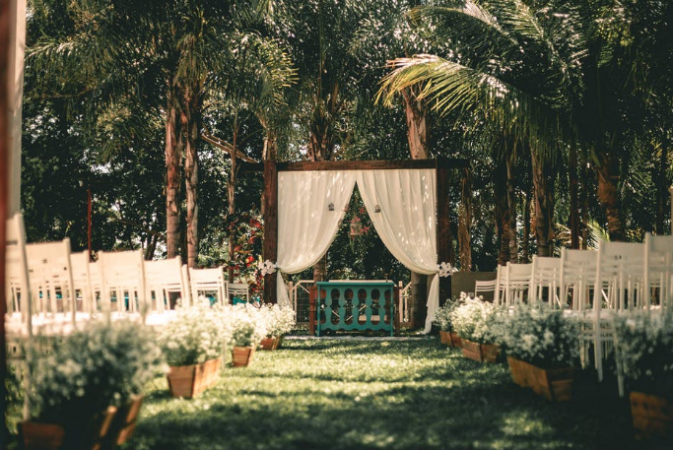 If it’s an open lawn you can pick vintage style gates and chairs to decorate the venue. Throw in some greenery and flower pots to make it look like straight out of a dream. Or there can be paintings and art booths for the couple to get clicking and lock their special moments. Budgeted – Stylish – Personalized! 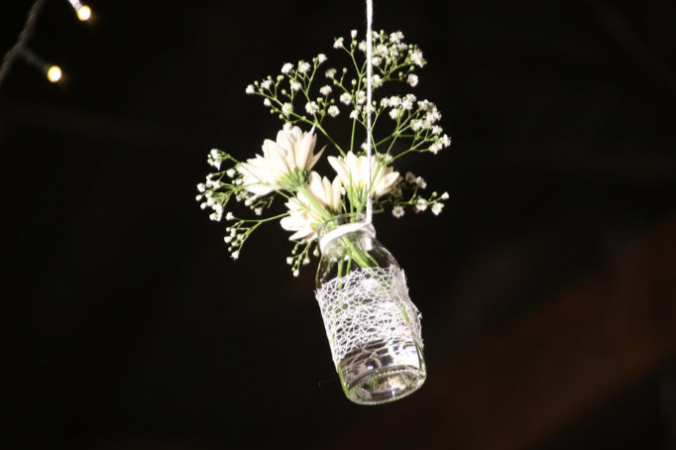 DIY wedding style can create a décor that brings completed ecstasy on the most special day of your life! This entry was posted in Wedding Planning Ideas and tagged 5 ideas to design your wedding DIY style, destination wedding, DIY cards, DIY Wedding, Dream Wedding, Personalized Wedding, unique wedding concepts, wedding, wedding decor, wedding DIY style, wedding hacks, Wedding Planner in Mumbai, wedding planning, Wedding Planning ideas, wedding tips, weddingtrunk.